My favorite time of the year has officially began - when I give back to my online friends. The amazing opportunities this blog has brought on would not be here if it weren't for my readers & followers. I thank you to the moon and back for keeping me on track and interacting with me online. With that said, I have picked out six of my favorite things from 2015 to giveaway as a small token of my gratitude. 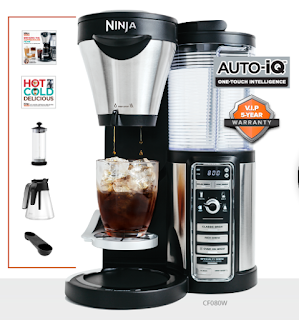 Today I am kicking off day one of My Favorite Things and it only makes sense to start my giveaways with the machine that starts my day......The Ninja Coffee Bar! This revolutionary Ninja Coffee Bar has become a permanent fixture in our morning routine. 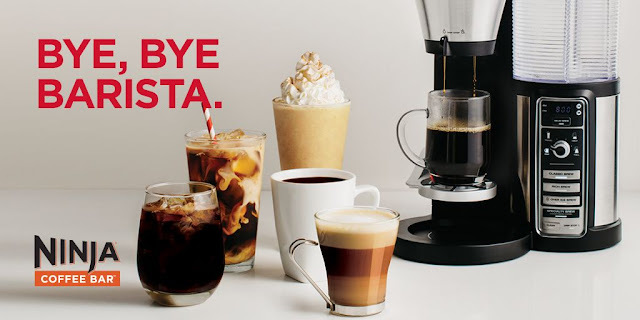 The machine allows you to make barista approved coffee at the convenience of your home with a technology called Thermal Flavor Extraction. This delivers a better, richer tasting coffee with variable richness levels. 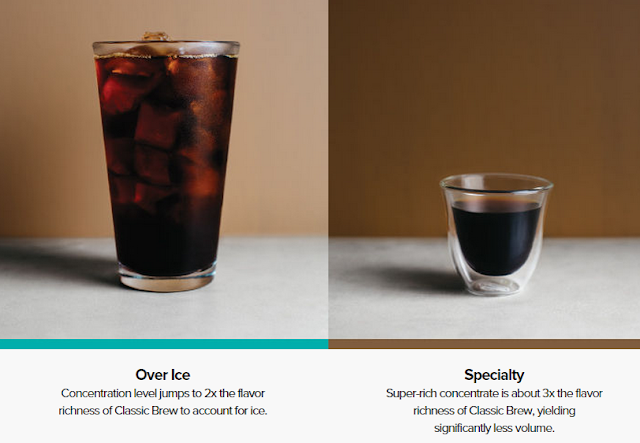 Each selection precisely calibrates the right flavor, richness, and strength for the beverage you want to make. Let me know in a comment below what you would make if you won the machine - also, would you keep it for yourself or give it away as a gift? Be sure to track your entry through the rafflecopter widget below. It will also open up additional ways to gain entries into the contest by visiting Ninja Coffee Bar on Twitter and Facebook! Also be sure to check back tomorrow and Thursday for the rest of week 1 Giveaways! I would LOVE to try the creamy blueberry coffee! I just saw an advertisement for this on TV the other day and it looks FABULOUS! I would like to make a pumpkin spice latte! I so need a good coffee maker! Straight Black Coffee!! Darker and richer the better. I definitely need one just for regular coffee! For whatever reason, my coffee maker has decided its a lot of fun to just spew grounds and water up over the top of the filter and they run down the coffee maker and into the pot and all over my counter lately... might be time for a replacement! I don't drink coffee, but my husband sure would love this! Which would be perfect for Christmas since my sales haven't been the greatest lately so I can't really surprise him using my own money lol. I'm @sandbergjennifer on instagram. :) Thanks for this awesome chance! That is an amazing, and generous gift. I'd keep it, it would be a gift the whole family could use. 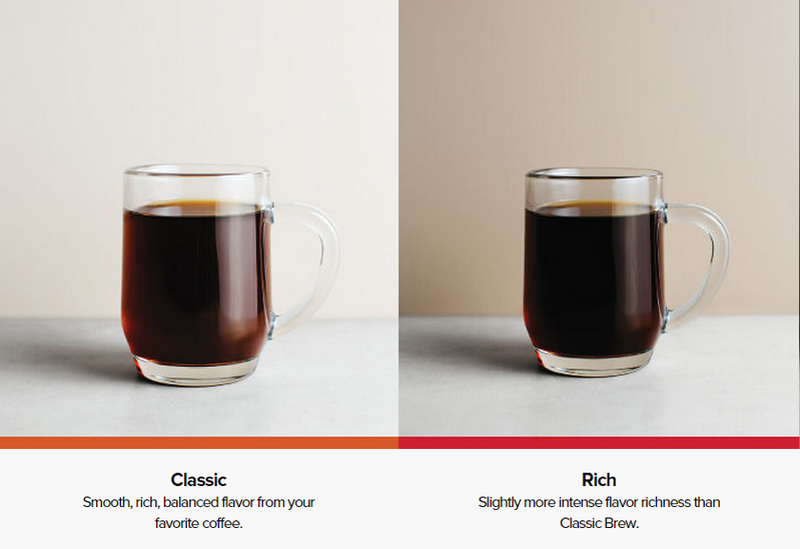 I would love the Rich Brew -- the stronger the better! I am looking forward to make latte with it. I'd keep this for myself. I'd actually give it to my older sister. I would kepp it for my family - pumkpin spice lattes sound yummy! My daughter and I would be living it up with iced coffees! Well, this certainly would be a welcomed addition to my counter! I like my coffee BOLD and I generally take it black--but lattes have recently become an obsession. The ability to make them from home would be wonderful!! This would be Absolutely Amazing!!!! Thank You for this Awesome and Very Generous Opportunity. I would be Over the Moon to be Chosen. Good Luck Everyone. This is SO COOL! My dream is for this in our teacher's lounge. My Instagram handle is @papergirlpress. I don't drink coffee, but I ADORE the smell! This would be the perfect gift for my sister who is a coffee addict and would love the Over Ice option! I would love to make a gingerbread latte! My husband is the coffee connoisseur in our family and he would adore a Ninja coffee bar. He would definitely give it a workout trying to make all sorts of coffee drinks! I love iced coffee, but very strong, I would love to have an easy way to make my own. My husband LOVES iced coffee and would be in heaven!! What a great giveaway! The Thai iced coffee sounds good. A flat white would be the first drink!! Love them!! Guilty-I'd keep it for myself and start off with a carmel latte! Is it okay to keep it for myself? lol! I'd love a mocha latte! I would keep this for my household, and I would love to make iced coffee. I look forward to making Creamy Blueberry Coffee with the Ninja Coffee Bar. I would keep it for myself. I would gift this to my mom because she loves coffee and could use a new one to save some money. I'd gift it to my mom! She drinks coffe every morning before work. I would love to make a white chocolate or pumpkin spice latte. The iced coffee option would be nice to have. Selfishly, I'd keep it for myself :D I can't wait to try the coffee martini! I can't wait to make a mocha cherry latte! I'd make a cafe mocha and keep it for myself to replace my Keurig. I would brew a rich cup and keep it for myself. I like plain old coffee, but iced coffee is awesome too. I would love to make iced caramel macchiatos! Thai Iced Coffee and I would keep it for myself. My Keurig is about dead and I have been eyeing this beauty.